Czech wine is a thing, and it’s exceptional. One visit to South Moravia will leave you hooked. If you think the Czech Republic is all about the beer, think again. There IS such a thing as Czech wine…and it’s quite good! In a country renowned for its beer, you may be surprised to know that the Czech Republic is also home to one of Europe’s oldest and most thriving wine industries and markets. Dating back as early as the 3rd century, parts of the Southeast Czech Republic was occupied by soldiers and scholars sent north from modern-day Vienna by the Roman Empire to scout the land. With them, they brought wine and tools which hint at the region’s first primitive vineyards. By Medieval Times, the wine trade and culture began to flourish. Today, like their revered counterparts in France, Italy, and Germany, Czech wine-makers are attracting an increasing amount of international attention and visitors to their vineyards. This comes after the industry took a massive hit during the Communist era, which lasted from 1948 to 1989. Despite many trials and tribulations, over the last three decades, wine-makers in South Moravia have steadily made their comeback. 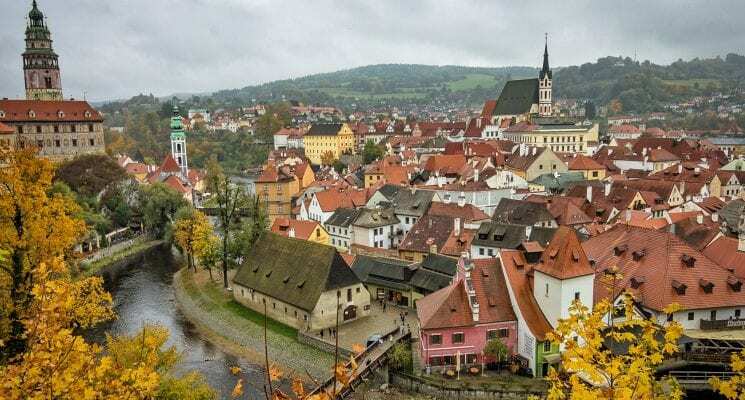 As a result, many small towns and villages at the heart of the industry are being recognized for their rich history and natural beauty, and are being embraced as a breath of fresh air for tourism in the Czech Republic. For wine enthusiasts South Moravia is a must visit destination in the Czech Republic, but before we get ahead of ourselves, let’s break down the two current wine-growing regions in the country. If you guys are looking for adventure in the Czech Republic have a look at our day trips from Prague article for all sorts of trip ideas. 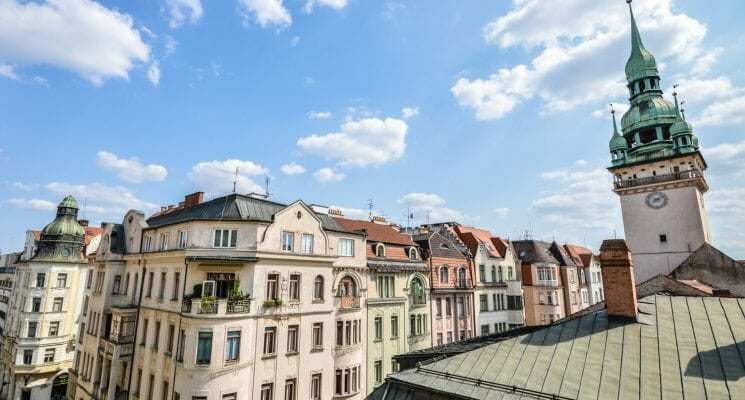 Before we begin, if you guys are looking for great hotel or hostel in Prague make sure to have a look at our article on where to stay in Prague! Not sure when to visit? 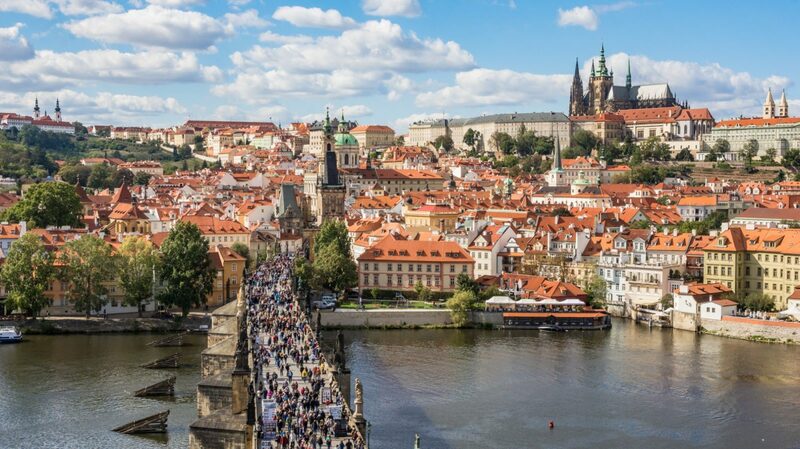 Read our guide on which season to visit Prague and the Czech Republic during! The Czech Republic has two wine regions; Bohemia (Vinařská oblast Čechy) and South Moravia (Vinařská oblast Morava). Bohemia as a whole is the largest historical region of the present-day Czech Republic. 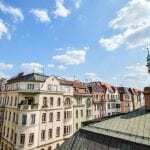 It covers the westernmost half of the country and is home to the Czech capital, Prague, which welcomed over 7.6 million visitors in 2017. Wine from this region has been popular since the Middle Ages and its growing region is divided into two subregions: Litomericka and Melnicka. That said, Bohemia produces a relatively small amount of wine and currently represents only 4% of all vineyards in the Czech Republic. South Moravia, which is located in the southeast of the country, is the undisputed leader of Czech wine production. Representing 96% of registered vineyards, the South Moravia wine-growing region is around the 49th parallel; the same as the Champagne region in France. The South Moravia wine-growing region is divided into four subregions – Znojmo, Mikulov, Velké Pavlovice, and Slovácko. The Znojmo wine region was first established in late Middle Ages. The region is known for aromatic white wines, including the varieties Grüner Veltliner, Müller Thurgau, Sauvignon, as well as Riesling. Located next to the Austrian border, the town of Znojmo is the center of the sub-region and is known for its extensive labyrinth of wine cellars and medieval corridors. The Mikulov wine region is centered around the Pálava hills. It’s the oldest and most famous wine-growing region of the Czech Republic. Typical varieties include Pinot Blanc, Chardonnay, Pálava, and the regions number one variety, Ryzlink Vlašský (Welschriesling). In the 13th century, the towns of Mikulov, Lednice, and Valtice became part of the Lichtenstein family manor. Even during that time, wine trade was the livelihood of the region. Today, Mikulov and its surrounding vineyards are the regions most-visited sites. The Velké Pavlovice wine region is located in the central part of Moravia’s wine region. Velké Pavlovice stretches from the Czech Republic’s second largest city, Brno, to the town of Břeclav. It is also one of the hottest and sunniest areas in the Czech Republic, making it perfect for growing a number of red varieties. 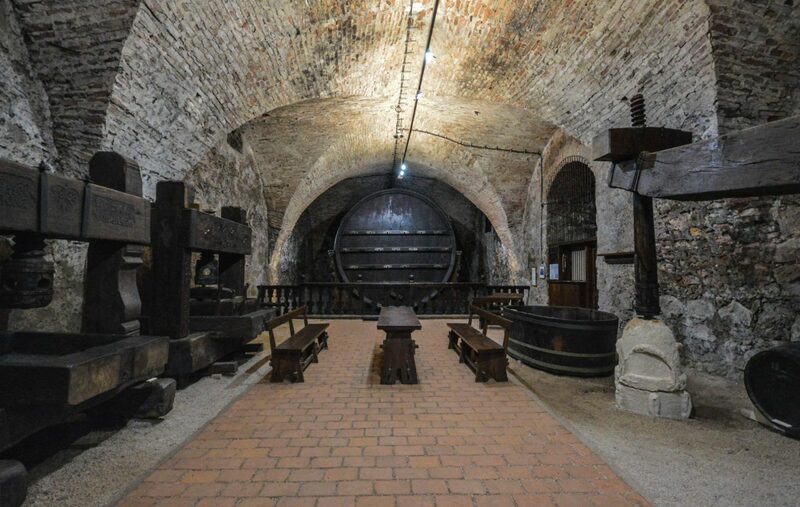 Additionally, it’s home to the country’s largest wine village, Velké Bílovice, which has more than 650 wine cellars. The Slovácko Wine Region, which is bordering Slovakia, is known for its wide range of varieties, as well as local folklore and tradition. The town Mutěnice is considered the heart of the region and is home to the Wine Research Institute. Other notable towns include Petrov, known for its unique preservation of original wine cellars, and Prušánky. The Czech Republic is known for its light to medium-bodied white wines. In fact, 65% of wine production is white and 90% of it is made in South Moravia. The most frequent variety in South Moravia is Green Veltliner (Grüner Veltliner), which is primarily grown in Austria, Slovakia, and the Czech Republic. South Moravia is also home to several local varieties, including Moravian Muscat, Cabernet Moravia, and our favorite – Pálava. Currently, there are approximately 850 registered wineries throughout the country. In South Moravia, there is also a large number of domestic winemakers who mainly produce wine for friends and family. Many of their vineyards and cellars have been passed down for generations. In this way, you quickly begin to see how South Moravian wine is not just business but rooted deeply in tradition and the region’s culture. If you speak to any local, they will likely tell you that there is a difference, as well as a small rivalry, between the people from Bohemia (Prague) and South Moravia. Whether this true or not, the atmosphere in South Moravia is notably more relaxed and warm and life seems to move at a slower pace. For that reason, not to mention the beautiful countryside, South Moravia is the perfect escape for wine lovers, or anyone looking to take a break from the busy streets of Prague. The best time to visit South Moravia’s wine region is from April through September. In the spring, new vintages from the previous year are released and the vineyards start to come alive. In early September, the harvest begins, much of which is still done by hand. During this time you can catch a sneak peek at the winemaking process, enjoy “closing of the vineyard” festivals (zarážení hory) and try the seasonal favorite, Burčák (“young wine”). That said, summertime is high season, and on weekends accommodation can be hard to come by. Though weekdays are significantly less busy, if you’re planning a trip between June and August, we highly suggest booking your hotel or pension several months in advance. Of the four South Moravia subregions, Mikulov packs the biggest punch in the way of things to see and do. Therefore, it shouldn’t come as much surprise that it is also the most popular wine-growing region in South Moravia. It is also home to the historic town of Mikulov. 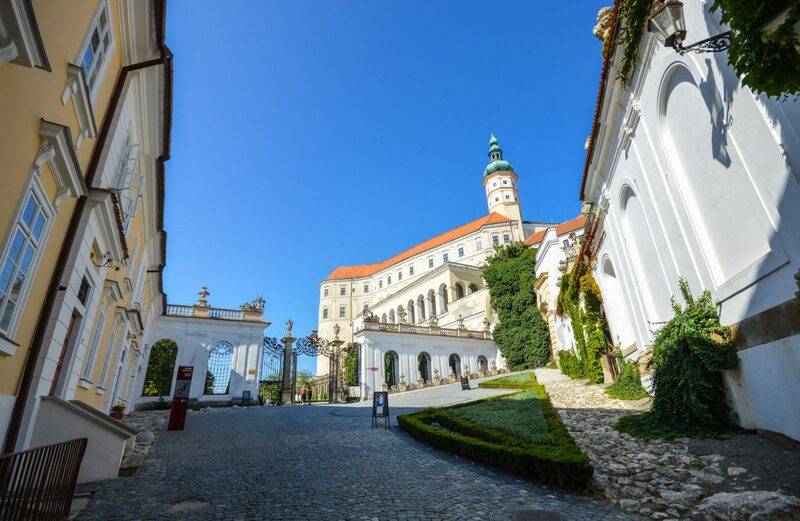 For that reason, we’ve put together everything you need to know before planning your trip to the Mikulov Wine Region including how to organize your own personal tour of the area. Mikulov is easily the most well-known and visited towns in the historic South Moravia wine region. Located directly on the Austrian border, Mikulov has a long, and at times tumultuous history, including a large Jewish and German population that was either eliminated or expelled during WWII and the Communist era. Today, Mikulov is a quiet, but thriving wine-town surrounded by vineyards and lush countryside. Its most notable landmarks include Mikulov Castle, which towers of the town square, and St. Sebastian Chapel, located on top of the town’s Holy Hill. 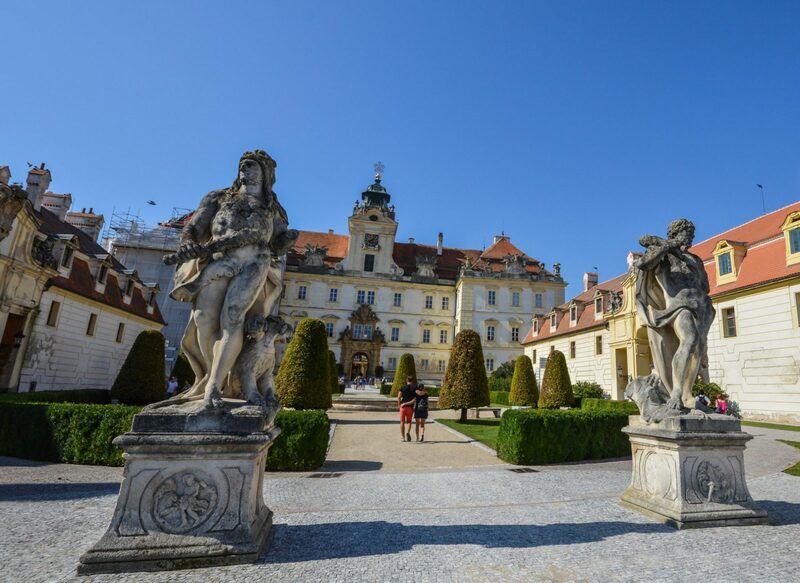 Here is a list of our suggestions for the top things to do in the Mikulov Wine Region of South Moravia. 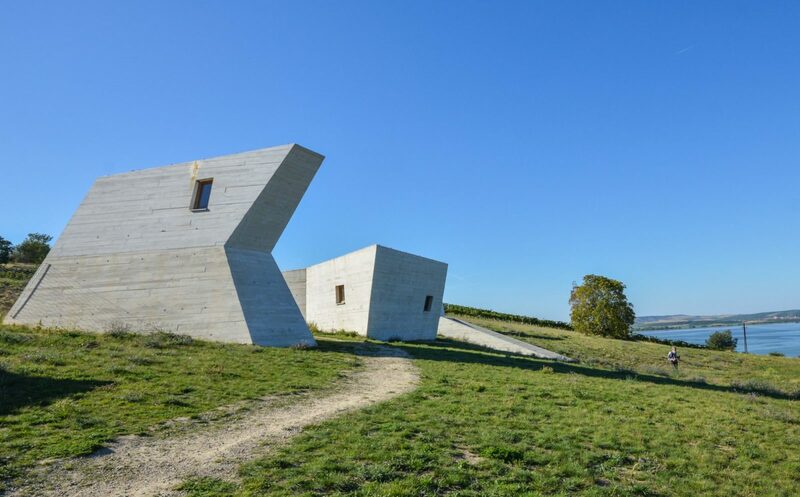 The history of the Mikulov wine region all comes back to the Pálava hills – a series of limestone cliffs protected by the UNESCO biosphere reserve. As the story goes, the first Moravian vineyards were founded on its slopes by Roman soldiers during the 3rd century. Since then, the hills have remained a defining part of the natural landscape and a focal point for winemakers of the region. Beneath the highest peak of the Pálava hills, Děvín, is the sleepy village of Pavlov. Throughout the centuries, Pavlov has been a major excavation site for archeologists and wine historians. Today, it is home to the Pavlov Archaeological Park, which is built in the exact spot mammoth hunters were said to live over 30,000 years ago. Countless artifacts, including primitive wine-making tools, have been found in the area and are now on display in the museum’s exhibit. Neighboring Pavlov is the village, Klentnice. Klentnice is located on the eastern slope of the Pálava hills and is overshadowed by the ruins of the 13th-century castle, Sirotci Hradek. The small village of Popice is located in the Břeclav District and has a population of only 936. Today, its claim to fame are two of the Mikulov regions most popular wineries, Sonberk and Gotberg. Both state-of-the-art wineries are uniquely located in the center of their vineyards, making for a truly organic experience. Compared to the small family cellars and village wineries, Sonberk and Gotberg are excellent examples of how polished the industry has become in some instances. That said, they are consistently producing some of the Czech Republic’s highest quality wines. As mentioned earlier, the Mikulov wine region was once stomping grounds for the noble Lichtenstein family. Sparing no expense, royals of the family took seasonal residence in Lednice Palace and Valtice Palace. Nowadays, both buildings are considered among the most impressive baroque and neo-gothic style buildings in Europe. Visitors can tour the remarkable residences, walk the palace grounds and enjoy their fill of local wine. Both palaces are beautiful (and a tad gaudy, as is the Baroque style) and deserve a couple of hours of exploration, especially if the weather is nice. Don’t miss out! 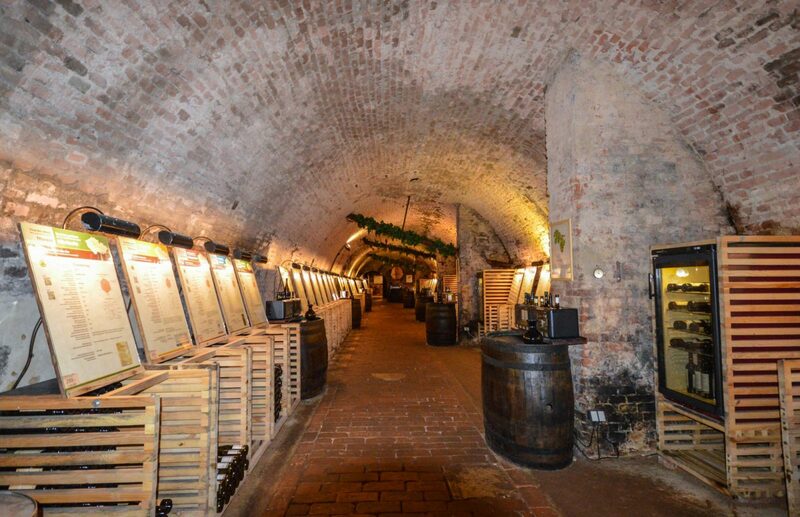 Located in the cellar of Valtice Palace is the Wine Salon of The Czech Republic. The salon is a permanent tasting exhibition of 100 of the best Moravian and Bohemian wines. The wines are selected annually in the country’s most renowned and all-encompassing national wine competition. Why visit, you might think? 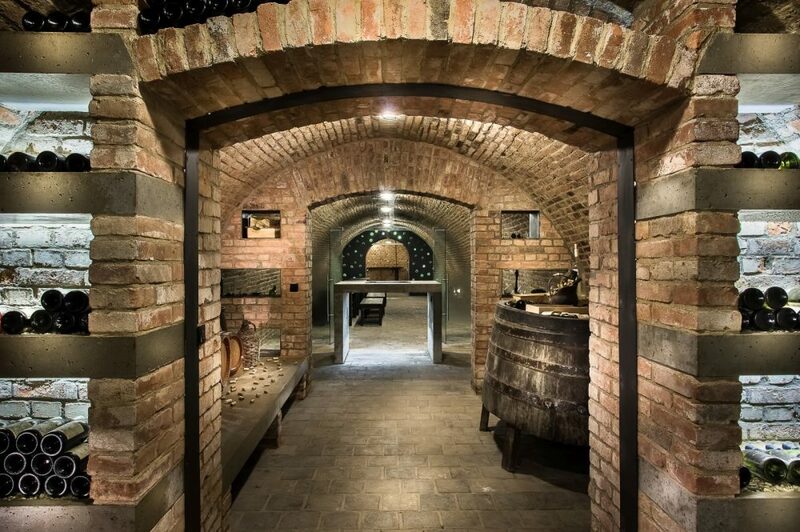 Because you can explore the enormous cellar and taste any of the 100 wines on display. An open bottle of each wine is available for tastings on a self-service basis. Additionally, if you’d like more insight about the wines, and not just unlimited samples, you can take a tour with an on-staff sommelier. For pricing and more information about visiting the Wine Salon of the Czech Republic click here. 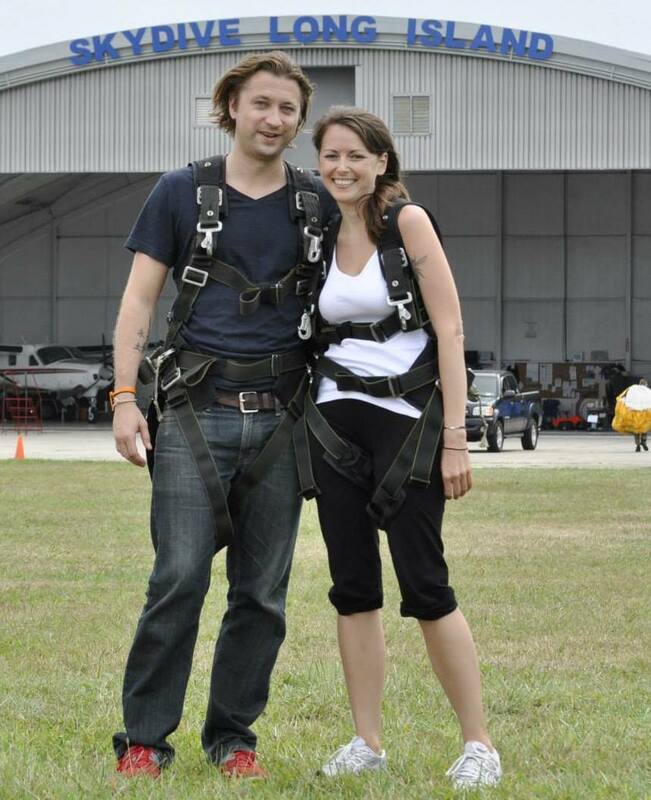 Tip: We recommend going early, as it tends to get busier throughout the day. In South Moravia, wine for breakfast is totally acceptable. Hustopece is a small town located in the Mikulov wine-growing region. It’s origins date back to the late 13th-century, yet it is believed that German colonists settled in the area as early as the 11th century. Though much smaller than Mikulov, Hustopece is quickly becoming a popular destination for visitors. 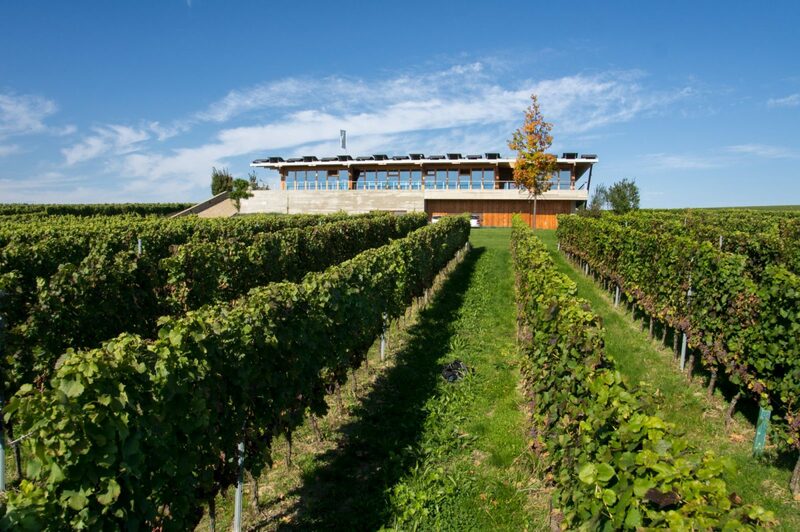 Even more, new winemakers, such as Vinařství Václav, are bridging the gap between consumer and the wine-making process by offering hands-on terrain tastings (wine tasting in the actual vineyards) and providing guests with top-notch accommodation at their winery. As tourism continues to grow in South Moravia, so do the number of wine tours in the area. 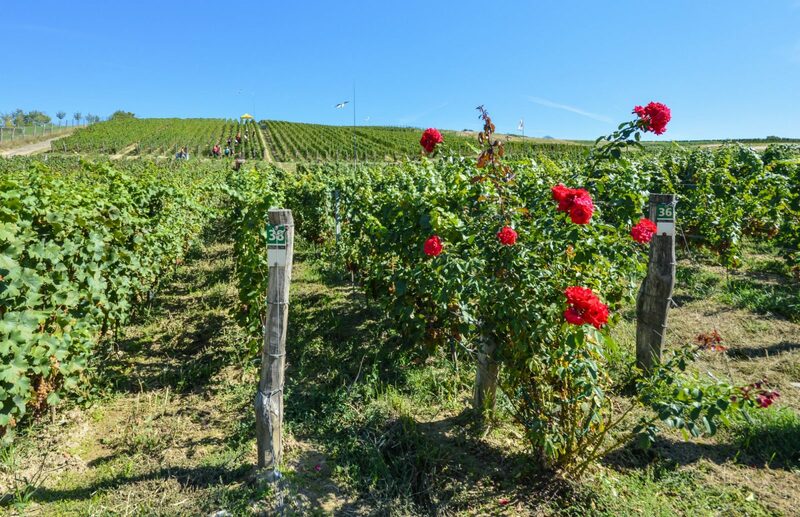 In the Mikulov wine region, visitors can select from a wide variety of historic wine trails, cycling tours, personalized tastings and winery visits. Depending on your interests, and knowledge of wine, there is something for everyone. 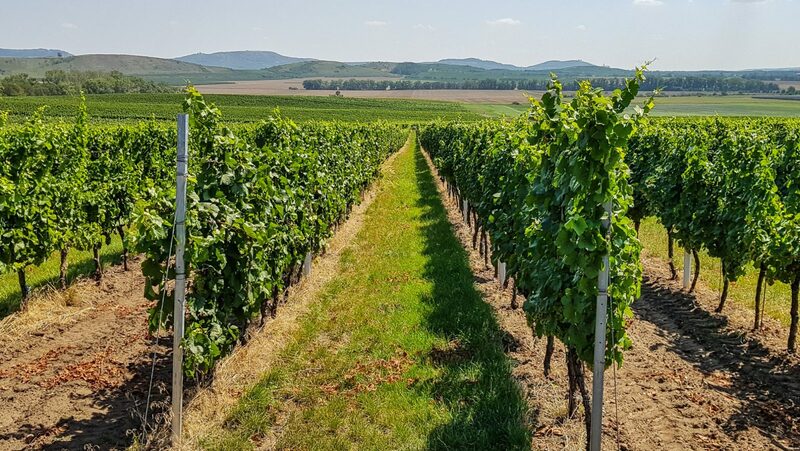 The Mikulov Winemakers, a group consisting of three family wineries, offer wine tours that make visiting South Moravia a memorable and hassle-free experience. The group is comprised of the Vino Lipa winemakers, Rodinné Vinařství Mikulov Kateřina Šílová winemakers, and Vinařství Turold Mikulov winemakers and aims to support wine culture and the rich traditions of Mikulov while promoting educational tourism in the region. 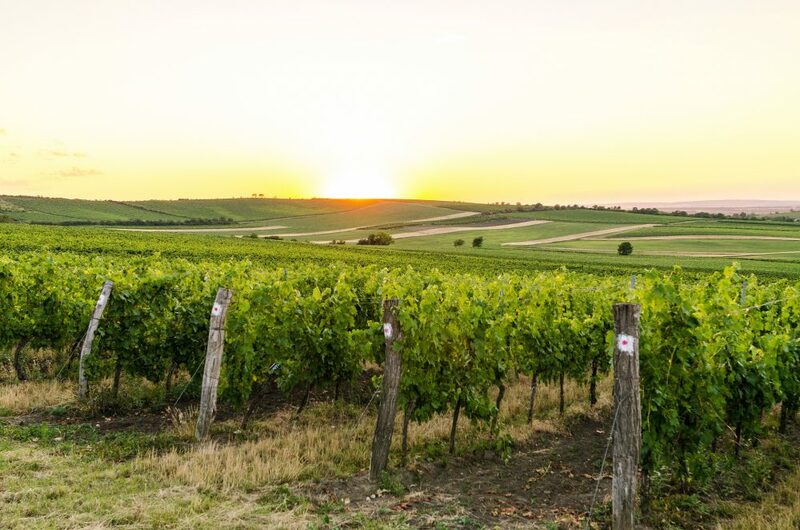 The Mikulov Winemakers can offer guests visiting the region bespoke, multi-day trips visiting wineries, vineyards, and popular sites in the area. Depending on the time of year and group size guests can experience tastings in vineyards and the opportunity to experience the wine harvesting process. They can arrange as little or as much as you require including accommodation, transportation, tastings, and meals. If you only have a day in South Moravia but still want a wine tasting experience the Mikulov Winemakers also host regular wine tastings at The Wine Store in Mikulov’s main square. The guided tastings last 60 to 90 minutes and include six wines for up to 15 people. The cost for tastings is 4,000 Kč (€155) total for the group (not per person). If you’re looking to combine your trip with something active, Southern Moravia is a hotspot for both novice and experienced cyclists. Based in the town of Mikulov, bike rental company, Cyklopomoc, gives visitors the opportunity to experience the region from a new perspective. For 350 Kč (€13.50) per day, you can rent a high-quality bike (helmet included), and ride your way through the Mikulov countryside, making stops at local wineries and vineyards along the way. For groups or team building events, guided tours along selected wine routes are available. Brno Day Trips is another excellent option for arranging customized wine trips in the Mikulov region. After arriving in Brno, guests are picked up for a guided tour of the region’s most popular sights. 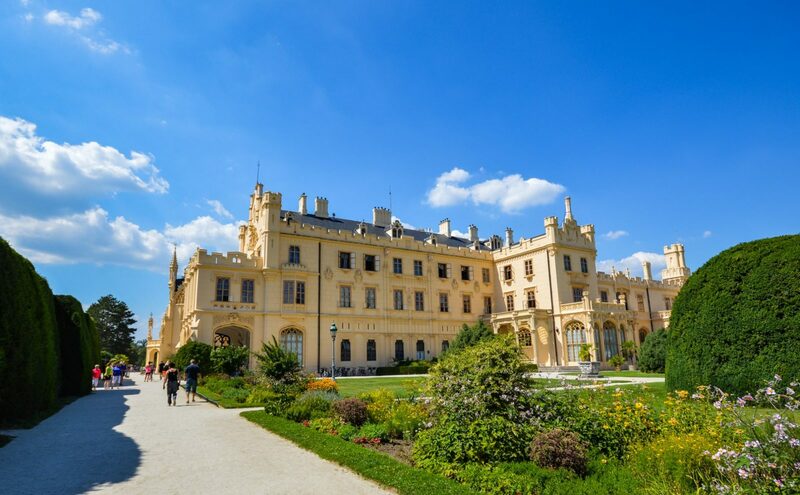 Typical stops include Lednice, Mikulov and 1.5 hours of wine tasting in Valtice at the National Wine Salon of the Czech Republic. Prices start at €120.00 and include transportation, English speaking guide services as your private driver, and wine tasting fees. (Prices varies by group number). One of the best things about visiting South Moravia is that many of the small independent wineries have lovely accommodation options on-site. Which means after partaking in a wine tasting you can simply walk to your private room or apartment, and if you’re visiting at the right time you can get an up-close look at how the wine is produced. The following accommodation options in South Moravia are all owned and operated by small wineries and excellent options for a visit to the region. Such is the case with Vinařství Václav. 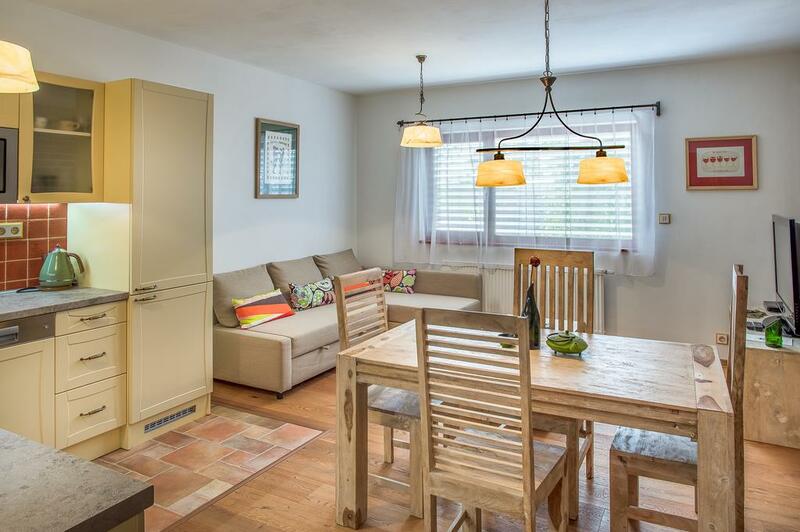 This small winery offers guests the option to stay in one of their spacious and beautiful modern apartments. Each is equipped with a living room, kitchen, private bathrooms, wifi, and flat-screen television. Additionally, there is an onsite garden, barbecue, and wine cellar so you can relax after a long day of exploring the area. Finally, Vinařství Václav offers a lovely homemade breakfast delivered right to your door in sweet wicker baskets. There’s no better way to wake up in the morning! For more information or to book your stay click here. One of our favorite wineries in South Moravia, Rodinné Vinařství Mikulov Kateřina Šílová, also offers stunning accommodation options on site. Their guest house, Rodinne Vinarstvi Mikulov, is located right in the center of Mikulov and just a stones throw from loads of shops, restaurants, and cafes. The apartments have a full kitchen, living room, and private bathroom. 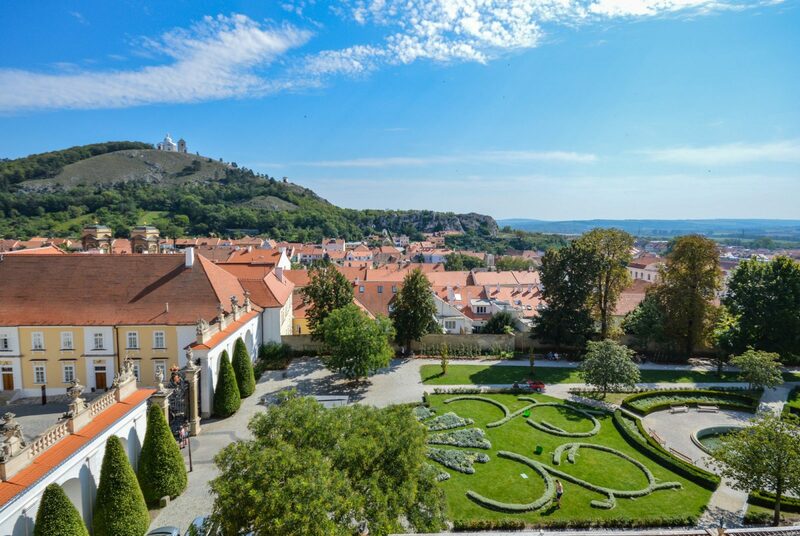 Tip: Book the apartment with the terrace for a lovely view of Mikulov’s Holy Hill and their winery. 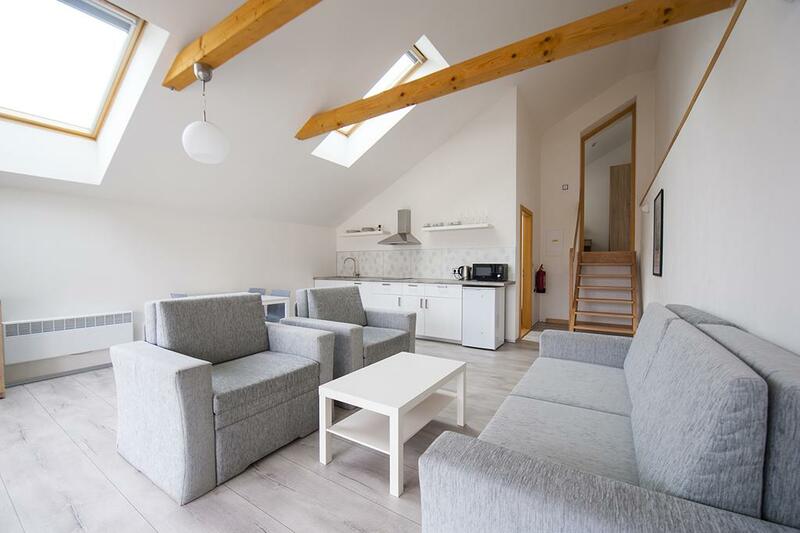 If you’re traveling with a family, and have a car there is no better accommodation option than Penzion Pastuška. 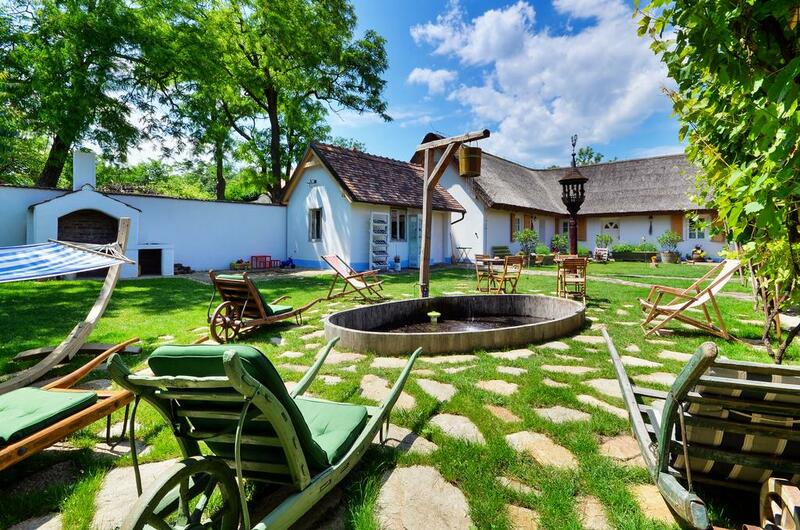 This lovely family home has everything you need to experience an authentic country stay in South Moravia. The penzion has a children’s palyground, water sports facilities, and on-site restaurant serving delicious local homemade cuisine and a bar. Additionally, each of the rooms come with a private bathroom and flat-screen televisions. Finally, the penzion is owned and run by the exceptional Lipa winemakers so amazing wine is always at an arm’s reach. The best way to get from Prague to South Moravia is via Brno. Brno is the cultural center of Southern Moravia and the second largest city in the Czech Republic. From Prague, you can take a regional train from Prague Main Station (Praha hlavní nádraží) to Brno Main Station (Brno hlavní nádraží). The trip takes about 2.5 hours and a return ticket costs around €40.00. You can buy tickets online or at the station. Alternatively, you can travel from Prague to Brno by bus. Buses leave regularly from Prague Florenc Bus Terminal (Prague ÚAN Florenc) and arrive within 2.5-3 hours at the Brno Hotel Grand. Depending on the time of day, a return ticket usually costs around €20.00. We recommend booking your tickets online in advance. Once you arrive in Brno, you have several options to reach your destination. In this article, we will focus on the popular Mikulov subregion. As mentioned earlier, the town of Mikulov is part of the Mikulov subregion in South Moravia and is about 43 km from Brno. To reach South Moravia from Brno, you have the option to travel to Mikulov by train, taxi or night bus. Trains leave hourly from Brno Main Station and a single ticket costs about €5.00. Unfortunately, there is no direct connection to Mikulov, so a short transfer must be made in Břeclav before the final stop at Mikulov na Morave. The journey takes approximately 1.5 hours. Your other option is the LEO Express night bus, which leaves from Brno Zvonařka Bus Terminal (Brno ÚAN Zvonařka) every morning at 6:50 am. A single ticket costs about €4.00 and the trip takes 40 minutes. 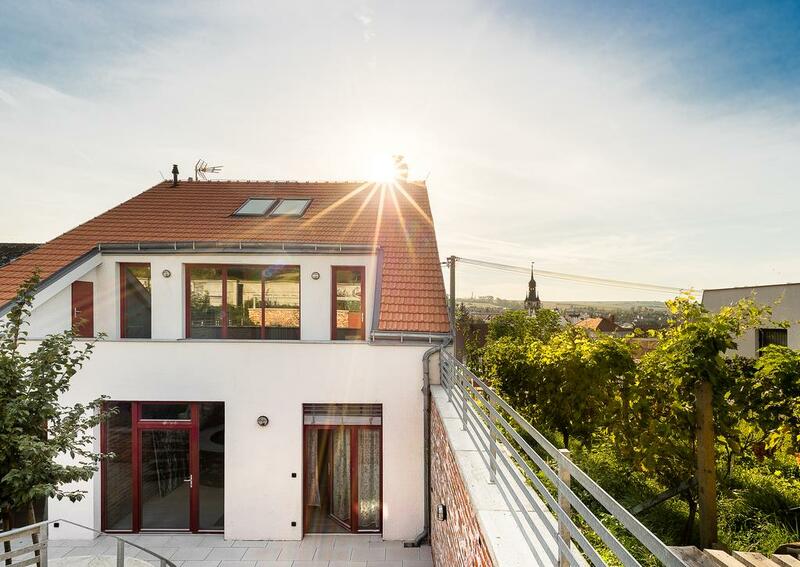 This is a convenient option if you are connecting your trip to South Moravia with a short stay in Brno. Finally, you can take a taxi from Brno to Mikulov. Again, this will take about 40 minutes and cost anywhere between €65.00 – €75.00. Driving from Prague to Mikulov will take about 3-4 hours depending on traffic. From Brno to Mikulov the trip will take approximately 40 minutes to an hour. So there you have it guys. 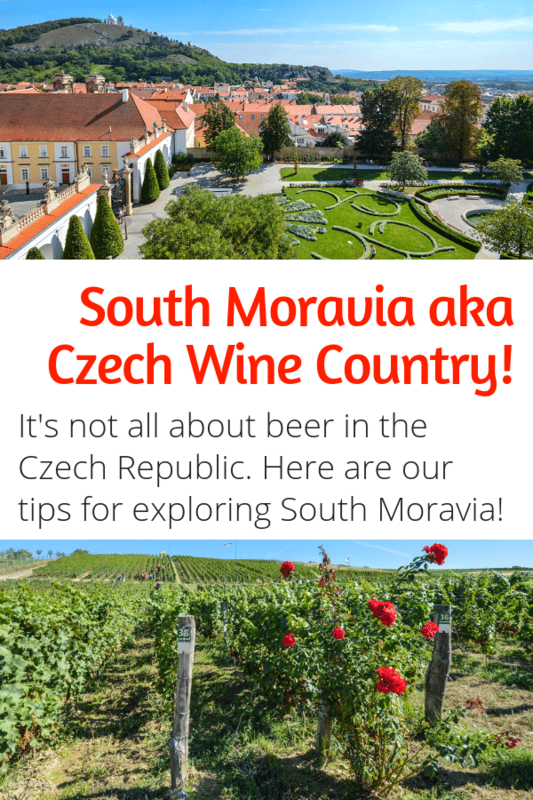 We hope to have inspired some of you to visit South Moravia and fill yourself up with delicious Czech wine. As always happy travels, and we will see you on the road!